The second volume of Romantic Classics in a Relaxing Urban Avatar. A contemporary adaptation of 12 of the greatest romantic classics of Indian Cinema. The soft, acoustic guitar based sound provides a clear difference from adaptations done in the past. 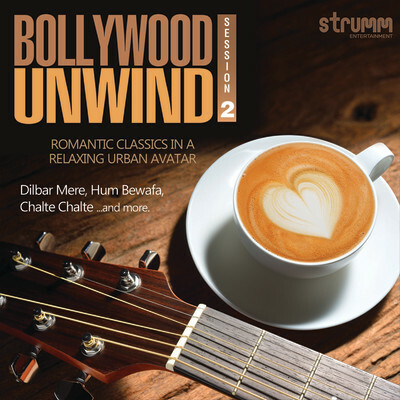 Some of the most loved romantic songs of Indian (Hindi) Cinema have been hand-picked for this album. The song selection is truly best in class featuring classics from the 70s to the 90s - neither too old nor too new. Singers include many singers singing on the major soundtracks of 2014 & 2015. The overall feel of the album is calm and happy and relaxing; it is the kind of music youd like to listen to while you dine, or drive, or at a romantic evening, or as you simply sit back and unwind.